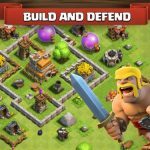 Our next installment of Clash of Clans tips and strategies would deal with two of the more important buiildings you can construct in the game – the Town Hall and Clan Castle. 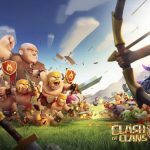 But before we bring you those tips, we should remind you that the game is available for iOS and Android, and is created by Supercell – it’s an impressive strategy title with a massively multiplayer online theme to it. 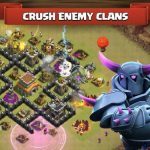 You already know this if you’ve been playing Clash of Clans for a while, but if you don’t, then now you know – it’s quite a popular download on multiple platforms and can be quite addictive to play. With that overview taken care of, we shall now bring you some useful Town Hall and Clan Castle tips and tricks to help you maximize both buildings’ potential in Clash of Clans. Ideally, you should place the Town Hall near the middle, or right in the middle of your village. It’s pretty much ground zero for your village, and with that in mind, enemies will really have a hard time destroying it. They will not be able to destroy it, though, if you’ve just started and are taking advantage of your 12-hour immunity for new players. Make sure you’ve got Wizard Towers and Walls to protect your Town Hall, even if it does take a while to destroy. You would want to build a Clan Castle if you’ve got plans to form your own Clan, or develop an existing one you have. This is where your troops stay in between battles, particularly the ones you can access through the army of your clan. In addition, any loot you gather from Clan Wars goes here. Like the Town Center, the Clan Castle has a lot of hit points, so you shouldn’t panic if it gets besieged by enemies. Still, you should also have it protected by Walls and other defensive structures. If you want to make your village stand out from the rest, then go nuts – go ahead and have it decorated. You can choose from flags, flower beds, torches, and other decorations, but at the end of the day, they really won’t matter much when it comes to Clash of Clans’ broader goals. It would be a good idea if you do, but you’ll need to have a Builder helping you out, and you’ll need to pay some gold for him to remove rocks, or elixir if you want him to remove vegetation. You can remove a maximum 40 obstacles at a time, and if you remove a certain amount of them within a given timeframe, you can earn more experience points and gems.